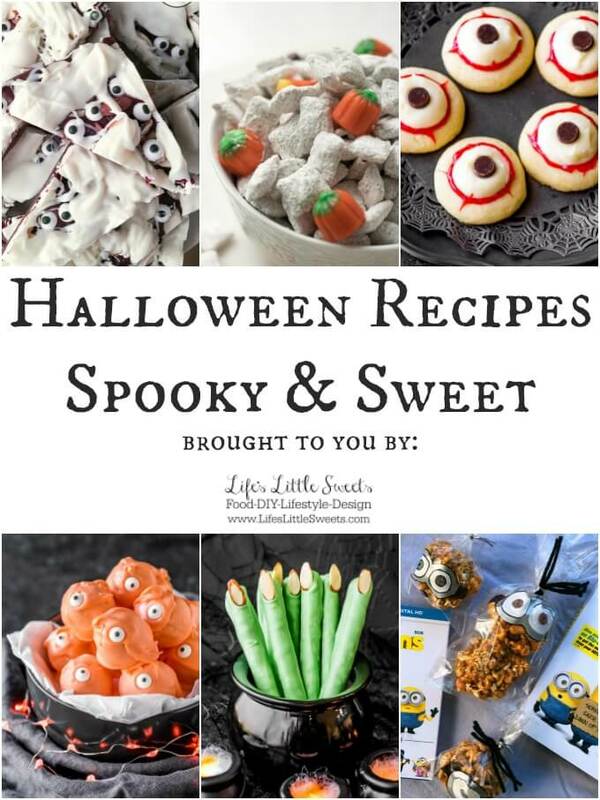 I have some spooky and sweet Halloween Recipes to give you some Halloween entertaining ideas. Enjoy the recipe roundup! Hi Everyone, need some Halloween entertaining ideas? 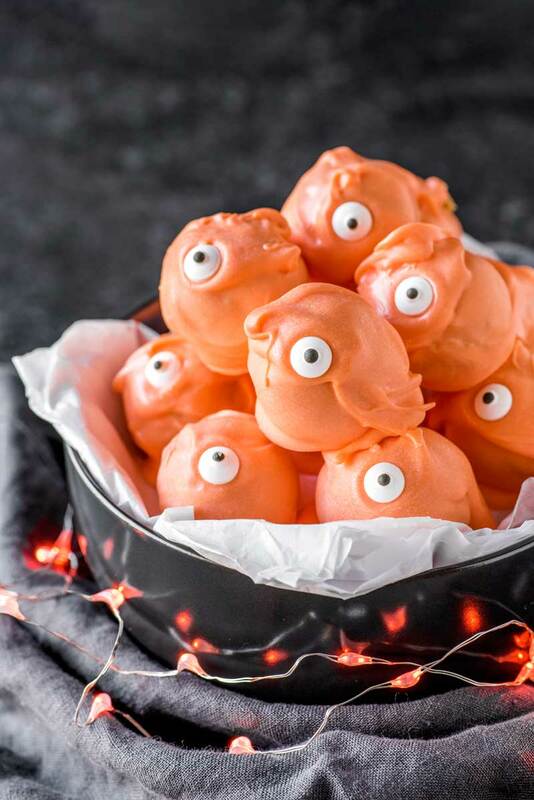 Check out these Halloween Recipes below to give you some spooky and sweet Halloween entertaining ideas. I have included a quote from each recipe post in the opening description of the recipe in the list. Enjoy the recipe roundup! 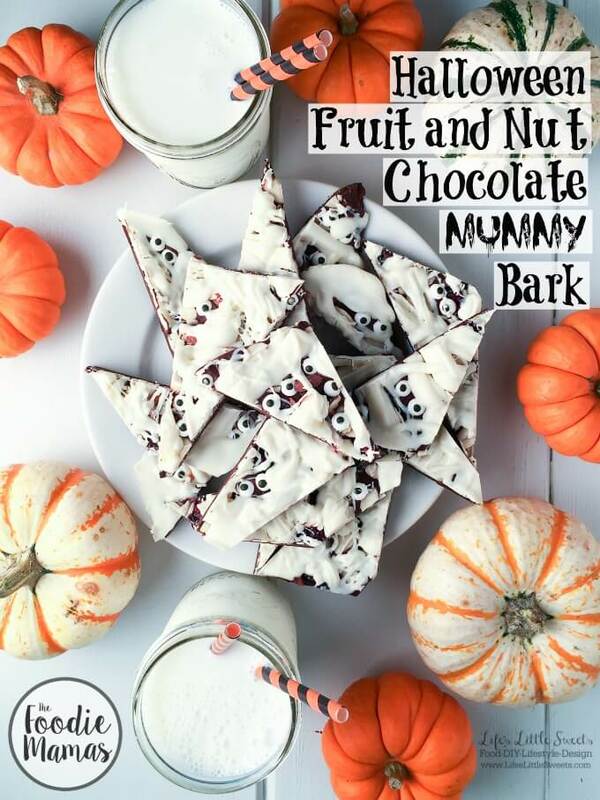 This Halloween Fruit and Nut Chocolate Mummy Bark is a fast & easy recipe, perfect for your next Halloween gathering! Be sure to check out all 5 spooktacular #FoodieMamas recipes in the recipe roundup. 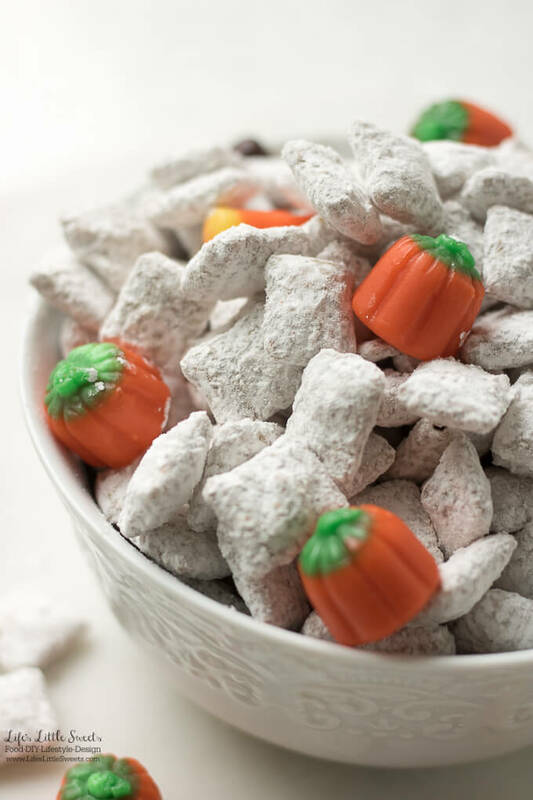 Homemade Pumpkin Spice Muddy Buddies are the perfect Fall snack for Halloween, after sports practices, entertaining or any gathering. It has rice Chex cereal, infused with pumpkin spice mixture and topped with Autum-themed Mellowcreme candies. (fills a 1.5 L container). You might also like Nutella Muddy Buddies, or 32 Pumpkin Dessert Recipes. This simple and easy Caramel Popcorn Balls recipe has only 4 ingredients, including homemade Dutch Oven Popcorn! 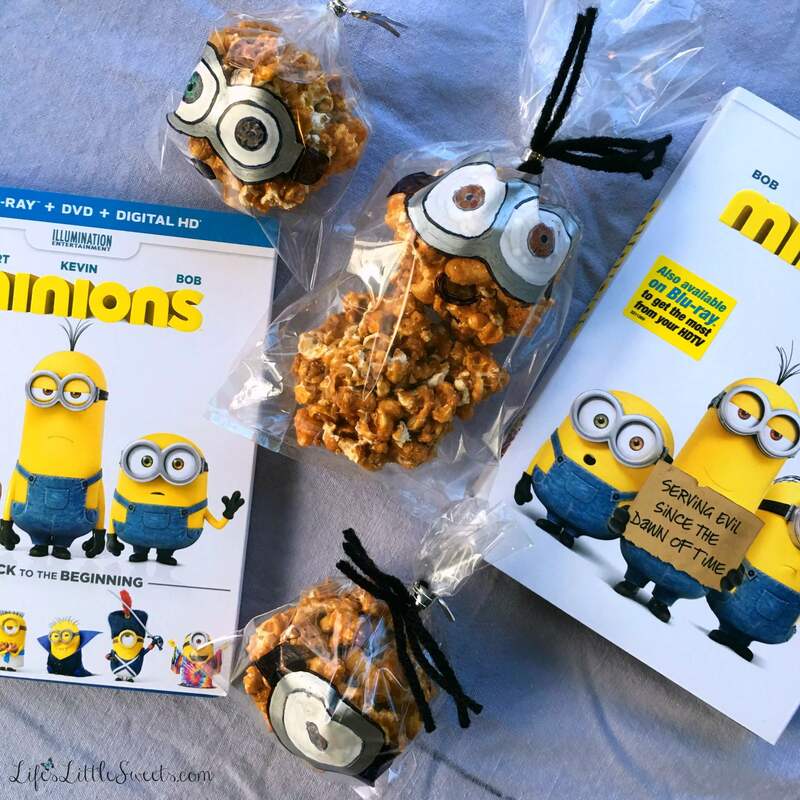 Check out my tutorial down below on illustrating the treat bags for the Caramel Popcorn Balls like the Minions movie characters! These adorable Halloween truffles are filled with sweet pumpkin cheesecake and coated in festive orange candy. A fun creepy treat for the holidays! 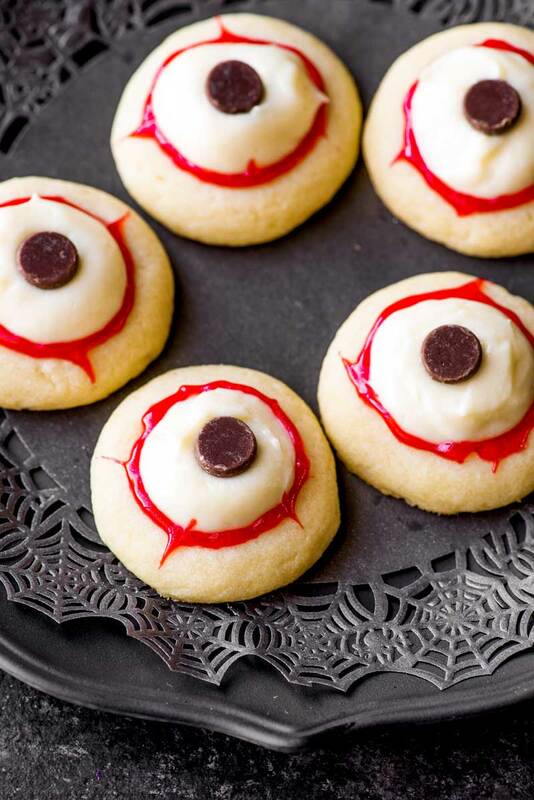 Classic buttery thumbprint cookies get a creepy Halloween makeover for these party-ready eyeball cookies. Easy decorating with frosting, chips, and red gel! Large pretzels covered in white candy coating that just happen to look like witch fingers. 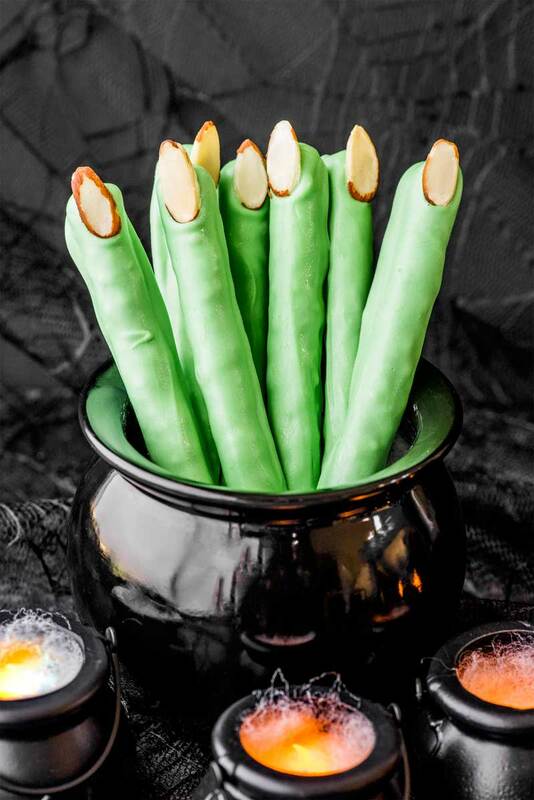 They’re very easy to make and perfect for any witchy party! I hope you enjoyed these Halloween Recipes! Have a happy and safe Halloween.